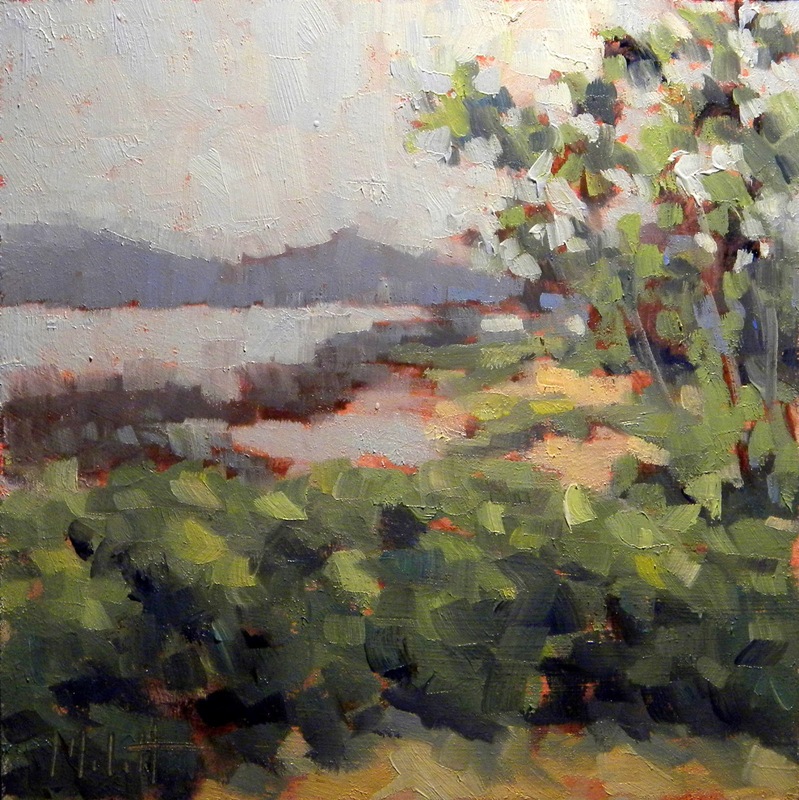 "Little Cove" 6"x6" oil on primed masonite. Oh boy, does it feel great getting back in the studio today. Way too much time has slid by since my last post. Spring weather is trying to make it this way. The warmer air is very welcome and inspiring. 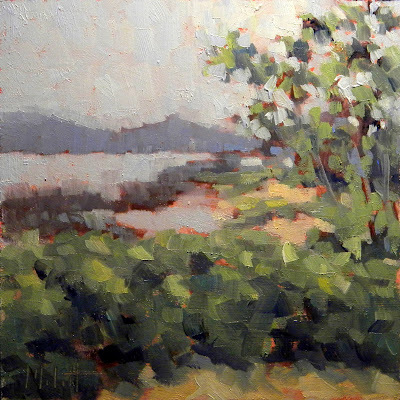 This location is very close to the previously posted painting, but just about an hour before the sunset. The changing light makes such a transformation. Hi Valerie, Thank you so much for the kind words. I enjoyed the chance to visit your blog. Your work is lovely! Wonderful brushwork and sense of atmoshpere. I will definately visit again.